1) (Beverston, co. Gloucester, bart., now Hicks-Beach). Quarterly, 1st and 4th, vaire ar. andgu. a canton az. charged with a pile or, for Beach; 2nd and 3rd, gu. a fesse wavy, betw. three fleurs-de-lis or, for Hicks. Crests—1st: A demi lion, ramp. ar. ducally gorged or, holding, in the paws an escutcheon az. charged with a pile or, for Beach; 2nd: A buck’s head couped at the neck or, gorged with a wreath of laurel ppr., for Hicks. Motto—Tout en bon heure. 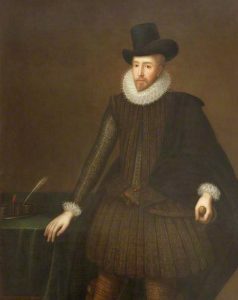 2) (Campden, co. Gloucester, bart., extinct 1629; Viscount Campden; Baptist Hicks, youngest brother of Sir Michael Hicks, Knt., of Beverston, the ancestor of Sir Michael Hicks-Beach, Bart., was created a bart. 1620, and in 1628 was raised to the Peerage, with special remainder to his son-in-law. Sir Edward Noel, d. next year, when the Peerage passed according to the limitation. See Noel, Earl of Gainsborough, extinct 1798). Gu. a fess wavy betw. three fleurs-de-lis or. Crest—A buck’s head couped at the neck or, gorged with a wreath of laurel ppr. 3) or Hickes (Rickols, to. Essex, and London). Gu. a fesse wavy betw. three fleurs-de-lis or. Crest—A buck’s head or, gorged with a chaplet of cinquefoils of the last leaved vert. 4) (Wilbraham Temple, co. Cambridge). Quarterly, 1st and 4th, gu. a fesse betw. three fleurs-de-lis or, for Hicks; 2nd and 3rd, per bend sinister or and sa. a lion ramp. counterchanged, holding between the paws a gauntlet az.,for Simpson. Crests— 1st, Hicks: A buck’s head couped or, gorged with a chaplet of roses leaved vert; 2nd, Simpson: An ounce’s head ppr. erased and ducally crowned gu. charged on the neck with a gauntlet or. Motto—Tout bien ou rien. 5) (Trevitiek, In Alternon, and Luxilion, co. Cornwall). Ar. a tower triple-towered betw. three poleaxes sa. 6) (London, and Beccles, co. Norfolk). Az. two palets betw. nine fleurs-de-lis or. Crest—A griflin sejant az. gorged with a collar embattled counter-embattled or, beaked, legged, and holding in the dexter foot an arrow gold. 7) (Kilmacanoge, co. Wicklow, and Mount Anville, co. Dublin; granted to Richard John Hicks, Esq., and the descendants of his great-grandfather). Quarterly, gu. and or, a fess wavy, quarterly erm. and sa. betw. three fleurs-de-lis counterchanged. Crest—A stag’s head couped ar. attired gu. gorged with a chaplet of trefoils vert. Motto—Donner et pardonner. 8) (London) Azure a fesse, wavy, between three fleurs-de-lis or. This is an English patronymic/baptismal (son of) last name deriving from the old personal (first) name Hick, meaning the “son of Richard”, with Hick serving as a nickname or reduced version of Richard. However, another source asserts it means the “son of Hugh”, with Hig or Hick being a nickname for Hugh. This same author asserts hick in Dutch means a simpleton. Even further, a third author claims Hicks is derived from Hicque of Hick, a nickname for the biblical masculine given named Isaac. A one Richard Hick was recorded in the Subsidy Rolls of Yorkshire in 1302 AD and William Hickys was documented in the Pipe Rolls of Warwickshire in 1309 AD. A one William Hicks married Margery Allen at All Hallows Church in London Wall in 1559. Samuel Lewis’ book A Topographical Dictionary of England states the following in regard to this last name: “The chancel [of Low Leyton in Essex] contains some elegant monuments of the family of Hickes”. Many bearers of the surname Hix are present in records of North Carolina in the 1700s. Some spelling variants or names with similar etymologies include Hix, Hixes, Hickes, Hickis, Hick, and Hickson. Similar foreign names include Iko (French), Ickx (Flemish), and Hikke (Dutch). The last name Hicks ranks 155th in popularity in the United Status as of the 2000 Census. The name ranks particularly high in the following six states: Tennessee, North Carolina, Alabama, Virginia, Kentucky, and Arkansas. The surname Hicks frequency/commonness ranks as follows in the British Isles: England (380th), Scotland (1,071st), Wales (185th), Ireland (1,830th) and Northern Ireland (1,229th). In England, it ranks highest in county Cornwall. In Scotland, the surname ranks highest in Bute. In Wales, it ranks highest in Pembrokeshire. In Ireland, it ranks highest in county Cavan. In Northern Ireland, it ranks highest in Fermanagh. The name is also present throughout the remainder English speaking world: Canada (426th), New Zealand (584th), Australia (288th), and South Africa (3,278th). Edward Hicks was an Esquire of Wilbraham Temple in county Cambridge who was a Justice of the Peace, Deputy Lieutenant, and High Sheriff in 1861 who was born in 1814. 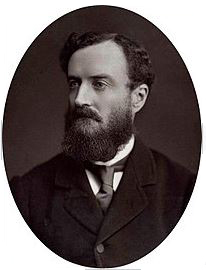 In 1838, he married Grace, eldest daughter of Stanley Pipe Wolferstan of Statfold, and had five issue with her: Stanley Edward (of the Inner Temple, Barrister-at-Law, Justice of the Peace, married Frances Sharp Webster), Henry John, Charles William (served on H.M.S. Forte), Emily Grace, and Eda. He was the only son of Edward Simpon of Lichfield and Elizabeth Anderson. He assumed the surname and arms of Hicks by royal license in 1835 on succeeding to the estate of his kinsman, James Hicks of Wilbraham Temple, who descended from the Hicks of Campden. Hicks Coat of Arms (mistakenly called the Hicks Family Crest) was blazoned in heraldry as follows: Quarterly: 1st and 4th, gules, a fess between three fleur-de-lis or, for Hicks; 2nd and 3rd, per bend sinister or and sable a lion rampant counterchanged, holding between the paws a gauntlet azure, for Simpson. Crests: 1st, Hicks: A buck’s head couped or, gorged with a chaplet of roses leaved vert; 2nd Simpson: An ounce’s head proper erased and ducally crowned gules charged on the neck with a gauntlet or. Motto: Tout bien ou rien. Frederick Morton Hicks (born in Canaan, Maine in 1908). Frederick married Marian Gertrude Davis and had a daughter with her named Barbara. John Hicks was born in Torteworth, Gloucestershire, England in 1340 AD. He had a son named John who was born in the same area in 1375 AD. This John had a son named Ellis Hicks who was born in Titworth, England in 1415. He married a woman named Elizabeth and had a son named John. John Hicks (Fortesset, Gloucestershire around 1455) married Joan Damer and later Margaret Atwood and had four children with her: John Jr., Richard, Joan, Thomas. Here is the pedigree beginning with John Jr.
1) John Hicks of Newport, 1639, Newton, L.I., 1656, and Hempstead, L.I. ; was a justice under comm. from Connecticut, 1664, and representative of H. the same year. 4) Robert Hicks, Plymouth, came to the New World aboard the Fortune in 1621, with his wife Margaret, who came in the Ann two years later in 1623. His children were Ephraim, Samuel, Lyida, and Phebe. He was a leatherdresser from London or Bermondsey Street, Southwark, England. 5) Samuel Hicks, Plymouth, 1643, moved to Eastham. He was the son of the Thomas below. 6) Thomas Hicks of Scituate, the brother of Robert; probably from London; had wife Margaret and children Zechariah, Daniel, and Samuel. 7) Thomas Hicks of Boston, shipwright, moved to Salem and had a wife named Dorcas who died in 1673. Other settlers in colonial America bearing this surname include Margaret Winslow (or Morgan?) Hicks (Plymouth, MA 1622), Christopher Hicks (Virginia 1714), and Mary Hicks (Georgia 1732). In Canada, one of the first bearers was George Hicks who came to Nova Scotia in 1750. In New Zealand, two of the earliest settlers with this last name were John and Charles Hicks who came to the city of Wellington in 1840. In Australia, Richard Hicks, a convict from Middlesex, England, came aboard the Agamemnon to New South Wales (then a penal colony) in 1820. 1) Gules a fess wavy between three fleurs-de-lis or. 2) Gules a fess wavy between three fleurs-de-lis or Crest: a lion’s (?) head [or] couped, crowned with a chaplet. 3) Quarterly 1 and 4: Gules a fess wavy bet 3 fleurs-de-lis or; 2 and 3: A ship under sail on the sea, a crescent in the dexter chief Crest: a lion’s head couped crowned with a chaplet. 1) John Hicks of Long Island, New York, 1665, from Gloucester. Gules, a fesse wavy, between three fleurs-de-lis or. Crest: A buck’s head, couped at the neck or, gorged with a wreath of laurel proper. Matthew’s American Armoury and Bluebook (1907) does not contain an entry for this last name. We have 8 coats of arms for the Hicks surname depicted here. These 8 blazons are from Bernard Burke’s book The General Armory of England, Ireland, and Scotland, which was published in 1848. The bottom of this page contains the blazons, and in many instances contains some historical, geographical, and genealogical about where coat of arms was found and who bore it. There are hundreds of notable people with the Hicks surname. This page will mention a handful. 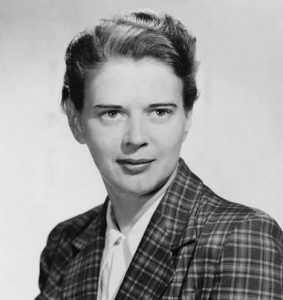 Famous people with this last name include: 1) Beatrice Alice Hicks (1919-1979) who was an American engineer, the first woman Engineer to be hired by Western Electric, and co-founder and president of the Society of Women Engineers who was born in Orange, New Jersey, 2) William Melvin Hicks (1961-1994) who was an American stand-up comedian born in Valdosta, Georgia known for his dark, controversial comedy, 3) Catherine Mary Hicks (1951) who was an American television, film, and stage actress who is known for her roles on 7th Heaven, Star Trek IV, and Child’s Play, 4) Brandon Ryan Hicks (1985) who is an American professional baseball infielder who was born in Houston, Texas that played for three different MLB teams from 2010-2014, 5) Lieutenant William Hicks (1788-1874) who was a British Naval Office who served at the Battle of Trafalgar and was born in St. Columb, Essex, 6) Thomas Holliday Hicks (1798-1865) who was a politician from Maryland during the American Civil War who was a Senator from Maryland and the 31st Governor of Maryland, 7) Anna Louise Day Hicks (1916-2003) who was an American politician lawyer from Boston, MA who was a member of the U.S. House of Representatives from Massachusetts who was best known for her opposition to desegregation of Boston public school, 8) Henry Hicks (1837-1899) who was a Welsh surgeon, doctor, and geologist who studied Precambrian rocks and cave deposits, 9) Helen L. Hicks Harb (1911-1974) who was an American professional golfer born in Cedarhurst, New York who was one of the 13 founders of the LPGA, 10) Sir Ellis Hicks (1315-1390) who was an English knight that fought at the Battle of Poitiers, and 11) Eric David Hicks (1976) who is a retired American defensive end who played for three different NFL Teams from 1998-2006, primarily the Kansas City Chiefs, who was born in Erie, Pennsylvania. The main symbol in the Hicks Coat of Arms (erroneously called the Hicks Family Crest) is the fleur-de-lis. The fleur-de-lys (“flower of the lily”) has a long and noble history and was a symbol associated with the royalty of France even before heraldry became widespread. The Lily flower is said to represent “Purity, or whiteness of soul” and sometimes associated with the Virgin Mary. The fleur-de-lis is also used as a small “badge”, known as a mark of cadency to show that the holder is the sixth son of the present holder of the arms. The two main tinctures (colors) are gules (red) and or (yellow). Gules signifies military strength and martyrdom. Or conveys generosity, faith, and wisdom.